It's been nearly two decades since the enactment of the North American Free Trade Agreement. President Bill Clinton officially signed NAFTA into law in 1993, opening trade barriers between the United States, Mexico and Canada in 1994. 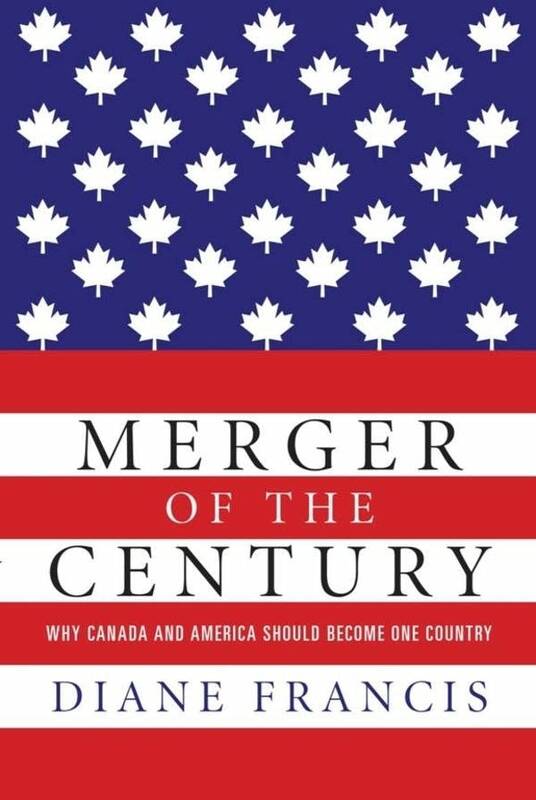 In her new book, "Merger of the Century: Why Canada and America Should Become One Country," Diane Francis says she thinks it's time to move beyond trade, at least when it comes to the northern most countries. Francis, a dual citizen of both countries, argues that a U.S.-Canada merger is not only a good idea but could become necessary, especially when it comes to growing Chinese economic power. Francis concedes that merging would be hard but insists it is worth the pain. Without some form of political fusion, the prospects for Canada could be grim. We could become a resource battleground. Russia or China could gain control over our resources and Arctic region, provoking tension with the U.S. Mishandling our First Nations obligations could incite civil disobedience, and Quebec's separatists could pump up economic and political instability. Canada would soon not qualify as a member of the G20. Absent a merger, America will face increasing adversity and competition for resources and an inevitable decline. Professor Duane Bratt of Mount Royal University thinks there's definitely room for the two countries to work together and be better partners, but when it comes to a merger, he doesn't think it's a viable option. On The Daily Circuit, we dive into the possibilities of a U.S.-Canadian merger. Should the U.S. and Canada merge? Sign up to get an exclusive weekly book pick, literary news and event details.